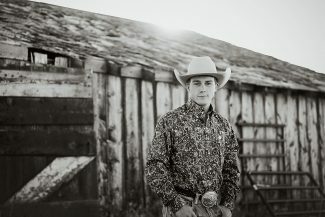 Clayton Symons, a Nebraska High School Rodeo member, graduated from high school in December and is working full time at his family’s feedlots near Mitchell. He has a strong work ethic and big plans for his future. The Nebraska High School Finals Rodeo will be held June 14-16 in Hastings at the Adams County Fairgrounds. Tickets are $7 for ages five and up and are available through the office and at the gate. For more information, go to AdamsCountyFairgrounds.com or hsrodeo-nebraska.com, or call (402) 462-3247. Mitchell, Neb. — Young people today get a bad rap for their supposed laziness and lack of motivation. That's not the case for a Mitchell youth. Eighteen-year-old Clayton Symons has been working full time since November, putting in eight- to 12-hour days, five days a week, at his family's feedlots, graduating from high school in December so he could spend all day at the feedlots. The youth, a member of the Nebraska High School Rodeo Association, crammed five days of homeschooling into three every week, so he could spend the other two days at the feedlots. Working with cattle has always been his dream. He started going to the feedlots when he was 6 years old. Now he rides pens, doctors sick cattle, sorts and ships. "All the cowboy work," he said. "I'm pretty much on a horse all day." Symons competes in the tie-down roping, team roping and steer wrestling in high school rodeo. He raised 4-H steers for nine years to buy his rodeo horses. 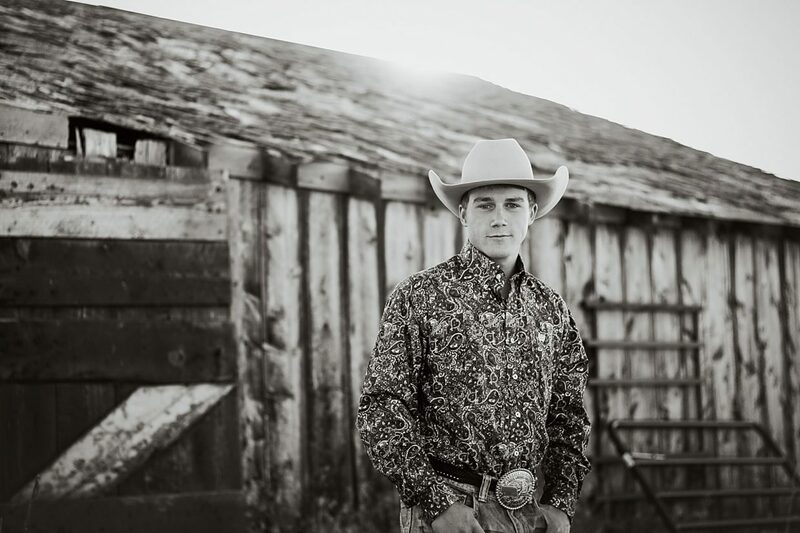 He has a 3.89 grade point average, which has earned him a scholarship to Laramie County Community College in Cheyenne, Wyo., where Symons will study ag business. The field will "help with what I'll be doing in a couple of years." After two years of study at LCCC, he may transfer to get a four-year degree, or he may come home. But either way, Symons' final goal is work at the feedlot. He'll start back as an employee, work up towards being the manager of one of the family's three feedlots, and "work up to owning cattle with dad. He eventually wants me to take over what he does," Symons said. His strong work ethic stems from his dad, Shane. "We're a lot alike," Clayton said, "in just about every way you can think. Our attitudes, thought processes. I'm very thankful I have his work ethic. I don't know anybody who works harder than he does." Shane and Alisha appreciate their son's efforts. "He's a hard worker and he's dedicated to what he does," Shane said. "He knows how to work and does a pretty good job at it, too." Symons has competed in Hastings at the Nebraska High School Finals Rodeo in 2015 and 2017 and is on track to qualify again this year. He has two younger brothers (Chance, 14, and Cord, 12) and a sister (Josie, 10).